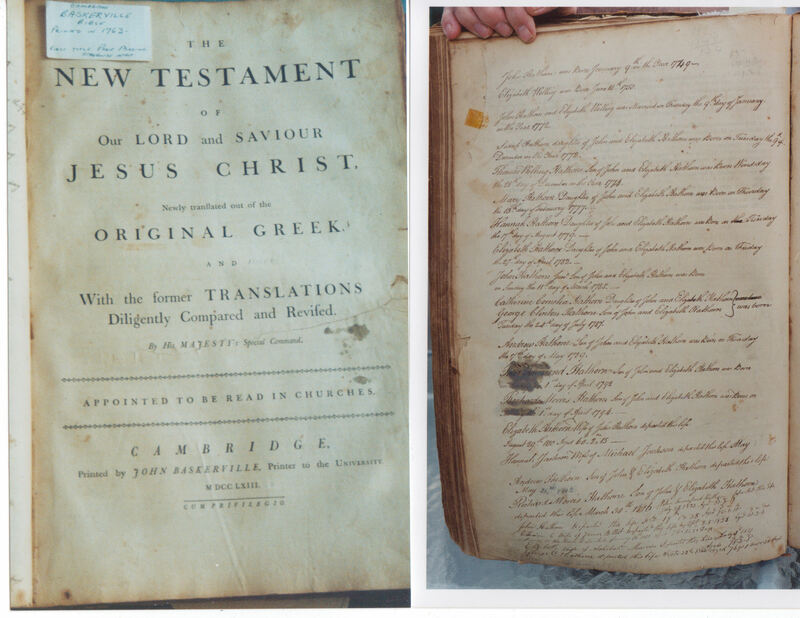 Photograph of family Bible and initial family page written by Hathorn, in a private family collection. Ceremonial sword attributed to John Hathorn. Photos from an auction site. Current location unknown. Text from Auction Record: "circa 1774. A fine officer's hanger, with coin silver mounts bearing the hallmarks of the London goldsmith John Fayle. Fayle maintained a wholesale business on Wilderness Lane, "near Sergeant's Inn" at the "sign of the Hat and Crossed Daggers." This is reflected in the presence of a well executed dagger below a pierced heart, worked into the knucklebow of this sword. 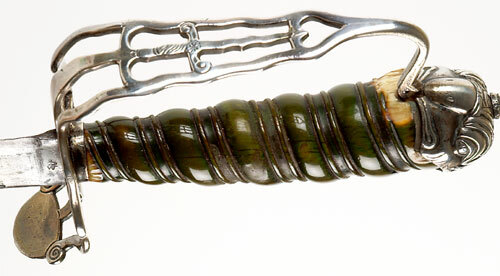 The pommel a "grotesque" style eagle, the handle of carved roped ivory dyed olive green with silver wrapping, the flattened quillon shaped into a shell form. The blade 27" in length, with a Solingen crown over the letter "W" for Peter Weyersberg of Pilhausen. With its original leather scabbard. This sword was acquired from the descendants of General John Hathorn..."
Pistols owned by John Hathorn. Private collection; location unknown. Photo from the Raynor Collection, Archive of the Historical Society of the Town of Warwick. 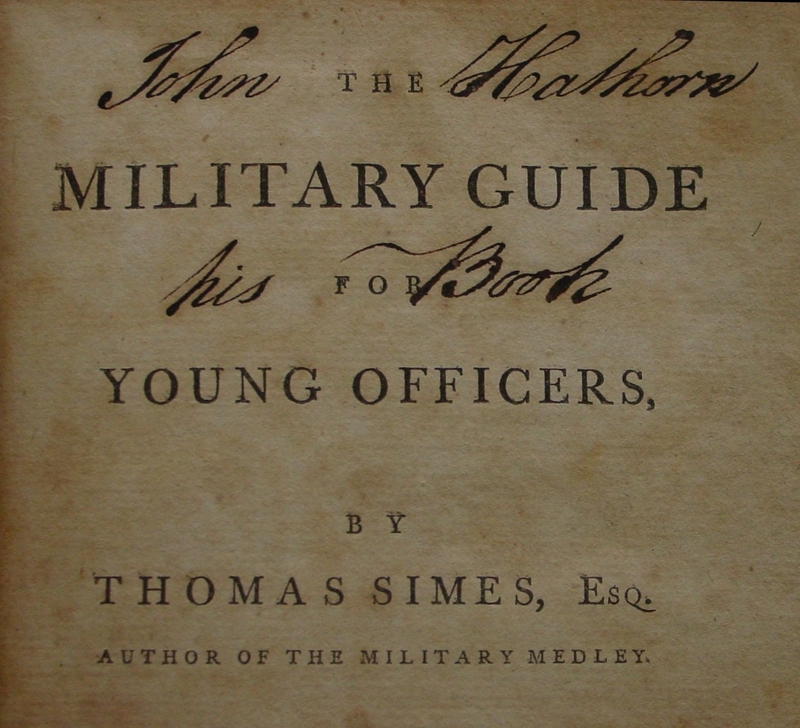 Military manual inscribed by Hathorn. This volume was published in London in 1776. Collection of the Warwick Historical Society. 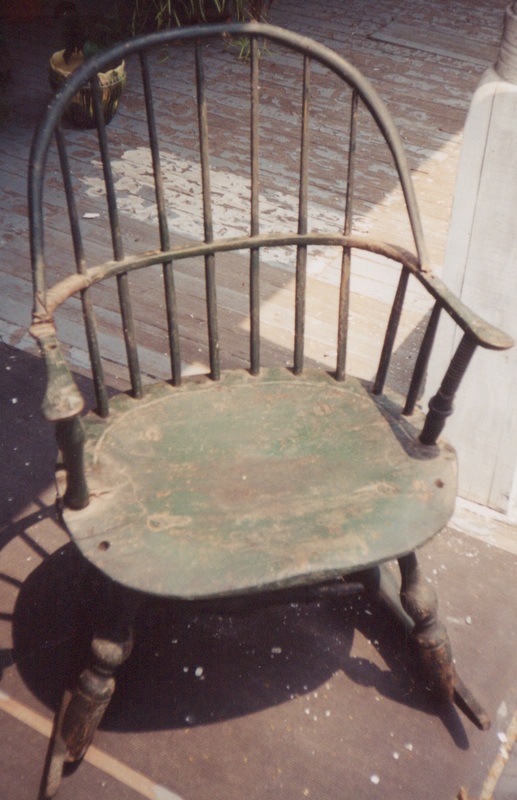 The story handed down over the years is that this was John's favorite chair. Raynor Collection, Warwick Historical Society Photo taken before restoration by the Society.